Get out of town with these interesting Perth side-trips: Caversham Wildlife Park (in Whiteman) and Fremantle (Fremantle Markets, The Shipwreck Galleries, & more). Dedicate the 10th (Wed) to wine at some of the top wineries in the area. On the 11th (Thu), give your taste buds a day to remember with a local gastronomic tour. 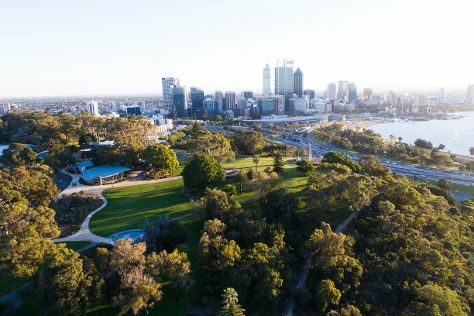 And it doesn't end there: walk around Kings Park & Botanic Garden, contemplate the waterfront views at Swan River, tour the pleasant surroundings at Perth Zoo, and enjoy the sand and surf at Cottesloe Beach. To see maps, reviews, other places to visit, and other tourist information, read our Perth tour itinerary planner . If you are flying in from Malaysia, the closest major airport is Perth International Airport. In July, plan for daily highs up to 21°C, and evening lows to 8°C. Finish your sightseeing early on the 14th (Sun) to allow enough time to travel back home.